Hungarian painter; born at Nagy Karoly 1853. When only fourteen he left home, and, earning his living as he went, arrived two months later at Budapest, where he became a merchant. When twenty-two years of age he entered a drawing-school, graduating as a teacher of drawing in 1879. In the following year he went to Paris, where he became a pupil of Fleury, Laurens, Le Roux, and others. In 1882 he returned to Budapest, where he has since resided. Many of his paintings deal with Jewish subjects; among these may be mentioned: "Homeless"; "The Jews in the Triumphal Procession of Titus"; "Moses Mendelssohn and Frederick the Great"; "Spinoza and His Judges"; "King Mathias and His Wife Welcomed by the Jews of Ofen"; "The Disputation at Tortosa"; etc. He was commissioned by the government to make a painting of the national hero Johann Hunyadi. 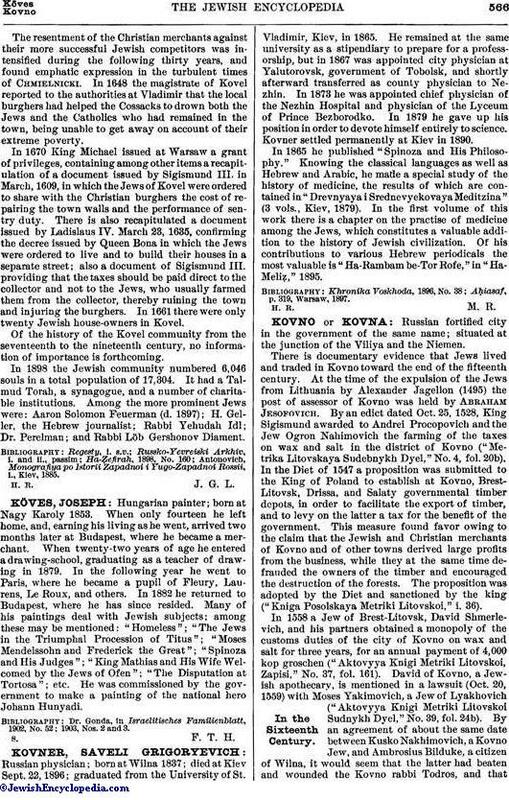 Dr. Gonda, in Israelitisches Familienblatt, 1902, No. 52; 1903, Nos. 2 and 3.